Advanced Scene Study, Catapult’s first advanced youth scene study course, is designed for young actors on a professional path and was specifically created to help actors sharpen their scene study skills in a focused, intensive way. In this course, actors will explore and dissect scenes in every single class, working toward developing nuanced, compelling characters that serve the text. Actors will be challenged by the specific material chosen for each class, the instructor, and their fellow students, all while learning to create memorable performances in their TV/film auditions and on-set work. INVESTMENT:$529/16 Weeks. *Payment plans available. THIS CLASS IS FULL. JOIN THE WAITLIST. Carrie Anne Hunt is an actress and filmmaker originally from Columbia, SC. She started her career on stage and her classical training has proved to be a strong foundation for her current work in television and film. 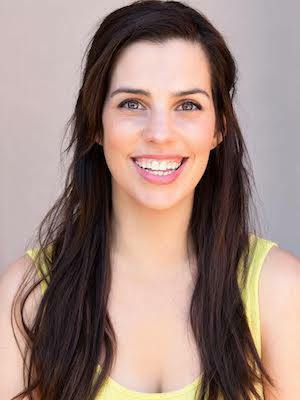 As an acting coach, Carrie Anne is committed to helping each individual performer find their light and shine. Carrie Anne is best known for her work in The Beach House (Hallmark), Living the Dream (Sky 1 – UK), Magic Mike XXL (Warner Brothers), Sleepy Hollow (FOX), Edgar Allan Poe’s Mystery Theatre (PBS) and Drop Dead Diva (Lifetime).